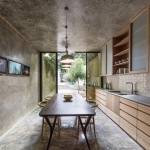 “How to create a single-family home, comfortable, functional and out of the ordinary, in a lot with dimensions of 4 x 69 meters without dying in the attempt.” This was our challenge when designing “Kaleidos House”. 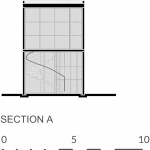 The ratio of 1 to 17 between the length and width of the lot was not an impediment to create a unique, innovative and spatially large house that makes the materials that make up its best allies to create a contemporary proposal resulting in a functional 3 bedroom 280 sqm house. 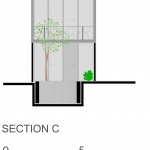 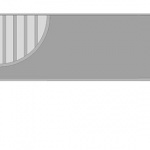 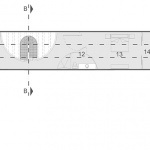 To take advantage of the lot’s dimensions and create a sensory experience throughout the length of the project. 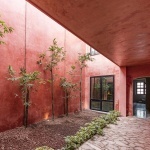 Discovering each space through a winding path that takes us by hand and instead of taking the shortest way to join two points, let us discover the house little by little, all this accompanied by different materials, scale, lighting and interior – exterior transitions. 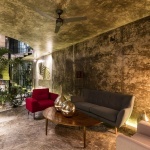 In the lot there was a structure dating back to the 70s that was in good condition and we decided to incorporate it into the design. 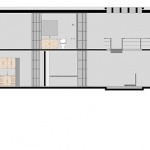 Given that the materiality of the project was a determining factor for the final image, we decided to clearly define the two periods through their materials. 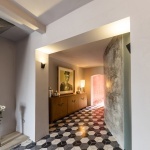 The old part retains its traditional character with two clearly limited spaces, whose walls and ceilings are finished in stucco with paint and the floors are made of “pasta tiles”, which are characteristic of the region. 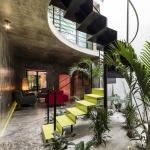 The new structure becomes a monolithic interior box with a semicircular perforation strategically placed to generate natural lighting and ventilation.Walls and ceilings are made of polished gray concrete as well as the floor of the ground floor where the same polished finish is preserved, while in the upper floor the concrete is hammered creating a texture that gives warmth to the space. 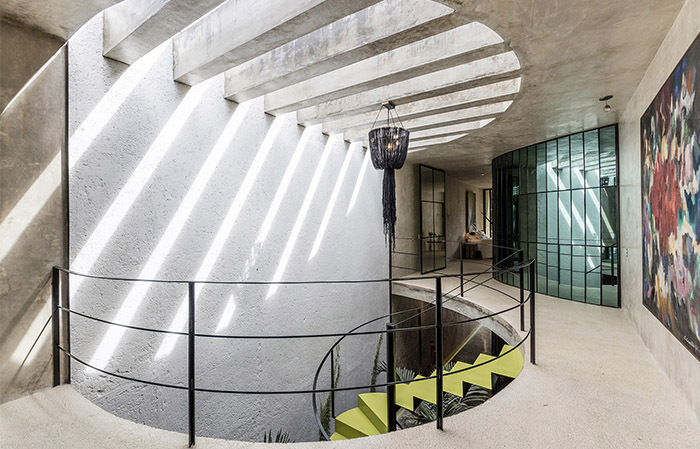 Inside the house there are no enclosures or changes in levels, and the private and service spaces are limited using reflective glass walls in such a way that they can be seen from the inside to the outside and from the outside we only perceive the reflections. 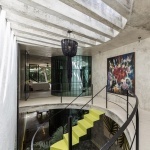 Like a kaleidoscope, a series of mirrors strategically located inside a tube create an optical illusion; these walls help create an infinite set of reflections that vary throughout the day thanks to the light and shadows provided by the semicircular perforation located in the interior garden and the sculptural staircase to access the private area. 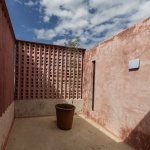 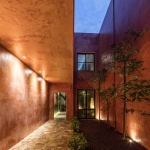 The two main areas that date from different eras are connected through a semi-enclosed patio that creates the first recess of the 69-meter route and serves as a transition between the two areas, this courtyard is a pause between the first impression and the space that we are about to discover. 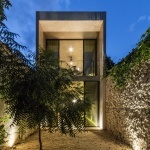 The architectural solution of “Kaleidos House” results in a unique, contemporary home, full of surprises and spatial sensations that make daily life a pleasure despite the challenge of working a lot with such particular dimensions. 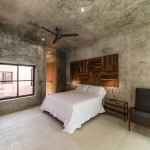 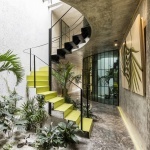 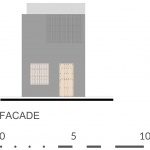 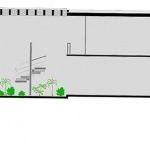 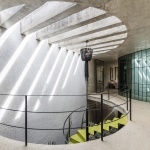 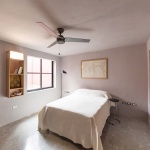 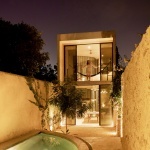 Architects: Taller Estilo Arquitectura S. de R. L. de C. V.
Adress Bulding: Calle 78 número 484 B por 55 y 57 Colonia Centro. 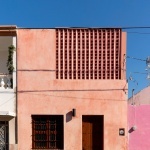 Mérida, Yucatán.